Megan Kenyon was diagnosed with breast cancer six days before her 29th birthday. She is now living with metastatic disease at the age of 33, meaning her cancer can be treated but will never be cured. “Although cancer was not new to me (my mom passed away from breast cancer in 1995, my dad is a kidney cancer survivor and my uncle passed away from throat cancer in 2008), I never thought I would be diagnosed in my 20s,” Megan said. Megan started treatment almost immediately. After three rounds of drugs, the cancer was 90 percent gone. She now receives routine or maintenance treatments because her cancer will never go away, but can become dormant. She continues to work in the medical sales field, travel the world, run road races, compete in sprint triathlons, and is planning her upcoming wedding. Megan has participated in the Central Indiana Race for the Cure for seven years as an individual, raising awareness about the importance of early detection and the realities of living with metastatic breast cancer. Megan has also been involved with Komen Central Indiana beyond the Race for several years. She was an Ambassador in 2015 and a Project Pink model in 2014, with the goal of educating women of all ages about the importance of knowing your body and your personal risk. “My experience with cancer has taught me how strong I am and how blessed I am to have such a wonderful family and group of friends here in Indianapolis and around the world,” said Megan. “Never ever think you are your disease…this just happened. You can and will rise above it. Cancer is just as much a mental disease as it is a physical disease. Choose to be present, be aware, and be at peace. Allow yourself go through all the emotions. Megan Kenyon is one example of an everyday hero who is making a difference in the fight against breast cancer in ways big and small. 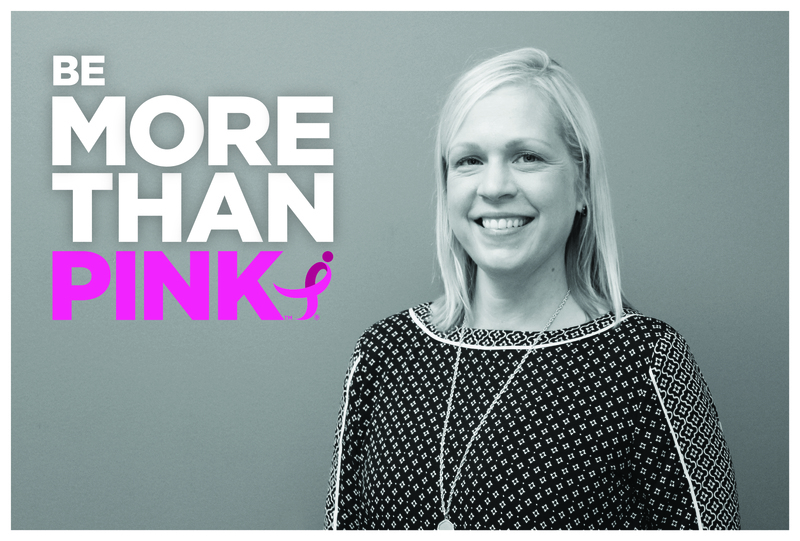 Join Megan in being More Than Pink by getting involved with the Race.